COMEDY. A frustrated teacher tries to persuade the principal to purchase some red pens, grade books, and light bulbs. 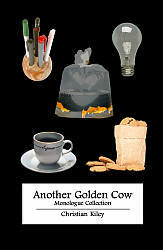 Included in the monologue collection "Another Golden Cow."